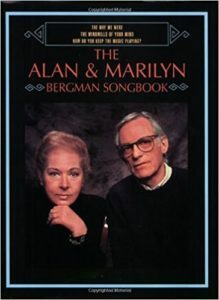 Two of the world’s most distinguished lyricists, Alan and Marilyn Bergman, have been contributing to the Great American Songbook for more than five decades. During their distinguished career, their songs have been nominated for sixteen Academy Awards, for which they have won three: “The Windmills of Your Mind” in 1968, “The Way We Were” in 1973, and the score for “Yentl” in 1984. “Windmills” and “The Way We Were” also earned Golden Globe Awards, and “The Way We Were” earned two Grammys. They were the first songwriters to be nominated for three Academy Awards for Best Song out of the five nominated songs, 1983 brought them nominations for “How Do You Keep the Music Playing?” from “Best Friends;” “It Might Be You” from “Tootsie;” and “If We Were In Love” from “Yes, Giorgio.” In 1984, they again received three nominations: for the score for “Yentl” (for which they were awarded the Oscar) and two for the songs, “The Way He Makes Me Feel” and “Papa, Can You Hear Me?” In 1995, they wrote the Golden Globe, Academy Award and Grammy nominated song “Moonlight” performed by Sting in the Sydney Pollack film, “Sabrina.” Among their principal collaborators are Michel Legrand, Marvin Hamlisch, Dave Grusin, Cy Coleman, Henry Mancini, Johnny Mandel, John Williams, Quincy Jones, and James Newton Howard. Dr. Billy Taylor, Artistic Director for Jazz at The Kennedy Center, commissioned Alan and Marilyn in 2001 to write “a jazz song cycle.” Collaborating with composer Cy Coleman, “Portraits in Jazz: A Gallery of Songs” was performed on May 17th, 2002 t the Kennedy Center to critical acclaim. The show, expanded with text by Larry Gelbart, had a highly successful run at the Mark Taper Forum in Los Angeles. Now titled “up Close and Musical”, it is being prepared for Broadway. 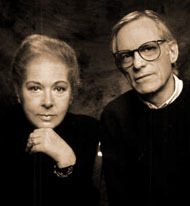 Alan and Marilyn are currently working on several projects with composers, Michel Legrand and Dave Grusin. Their collaboration with composer Roger Kellaway birthed five songs for “Visions of America” – a photo symphony celebrating the sights and sounds of America. It had its premiere performance in January 2009 with the Philadelphia Pops Orchestra, was performed by the Boston Pops during their 2012 season featuring Patti Austin and Steve Tyrell, and was presented by the New American Orchestra in January 2013. Alan & Marilyn’s long list of television credits includes the theme songs for “Maude,” “Good Times,” “Alice,” “Brooklyn Bridge” and “In the Heat of the Night.” They have received four Emmy Awards: For the award-winning drama,“Sybil,” and for the first made-for-TV dramatic musical, “Queen of the Stardust Ballroom,” music by Billy Goldenberg, which was later adapted for the Broadway stage as “Ballroom.” In 1995, for their original song “Ordinary Miracles,” music by Marvin Hamlisch, from the HBO Special “Barbra Streisand: The Concert.” Their fourth Emmy came in 1999 for Outstanding Music and Lyrics for “A Ticket to Dream” with Marvin Hamlisch from AFI’s 100 Years 100 Movies Special. Two years later they were nominated for their original song “On the Way to Becoming Me” also written with Marvin Hamlisch for the AFI Tribute to Barbra Streisand. Alan & Marilyn wrote the 1986 “One Voice” concert starring Barbra Streisand, and in 1994 they scripted the legendary Barbra Streisand Concert Tour and HBO Special “Barbra Streisand: The Concert” for which they were nominated for a Cable Ace Award. Among their songs are: for Frank Sinatra “Nice ‘n’ Easy;” for Ray Charles “In the Heat of the Night,” for Fred Astaire “That Face,” ” You Don’t Bring Me Flowers,” “What Are You Doing the Rest of Your Life? ;” “So Many Stars,” “The Summer Knows,” “Where Do You Start?,” “On My Way to You,” “You Must Believe In Spring,” to name but a few. 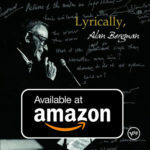 “Lyrically, Alan Bergman” an album of their songs sung by Alan Bergman and accompanied by the Berlin Radio Orchestra was released on Verve Records. Alan & Marilyn were inducted into the Songwriters’ Hall of Fame in 1980. In 1986 they received the Clooney Foundation Singers Salute to the Songwriter Award, and in 1987 the Songwriter’s Guild Aggie Award. In 1995 Alan & Marilyn received Honorary Doctorate degrees from the Berklee College of Music and were recipients of the National Academy of Songwriters Lifetime Achievement Award. 1997 brought them the Songwriters Hall of Fame Johnny Mercer Award, and in 1998 they received a cultural Medal of Honor in Spain. In 1999, their talent was celebrated with an evening of Lyrics by Alan & Marilyn Bergman at Carnegie Hall. June 2000 brought them the National Music Publishers Association Lifetime Achievement Award. In June of 2002 they were honored with the Governor’s Award from the National Association of Recording Arts & Sciences (NARAS), and the Fall of 2003 brought them the first ever Johnny Mercer Foundation Lifetime Achievement Award. In 2004, Alan & Marilyn were honored at The Flanders Film Festival with the World Soundtrack Lifetime Achievement Award. Their 50 year collaboration was marked in 2006 by another evening at Carnegie Hall: The Way We Are: Celebrating the Lyrics of Alan & Marilyn Bergman. In 2009, they received Honorary Doctorate Degrees from the University of Massachusetts and their work was celebrated with a Lifetime Achievement Award at the Savannah Film Festival. Marilyn Bergman served as President and Chairman of the Board of the American Society of Composers, Authors and Publishers (ASCAP), the world’s foremost performing right organization, for fifteen years. She was elected in April 1994 after five terms as the first woman ever to serve on ASCAP’s Board of Directors. Marilyn completed her term as President in April 2009, but continues to serve on ASCAP’s Board. In 1996, she received the first Lifetime Achievement Award for a Distinguished Alumnus from The High School of Music and Art, and also that year was presented with France’s highest cultural honor, Commander of the Order of Arts & Letters medal. In 1998, Marilyn received an Honorary Doctorate from Trinity College. In 2002, Marilyn was appointed the first Chairman of the Library of Congress National Sound Recording Preservation Board. Alan Bergman serves as a member of the Library of Congress National Film Preservation Board, the Johnny Mercer Foundation Board, the Artists’ Rights Foundation Board and the Jazz Bakery Board of Directors. Alan and Marilyn are both on the Executive Committee of the Music Branch of the Academy of Motion Picture Arts & Sciences. 2011 brought Alan special recognition from his Alma Mater when the University of North Carolina at Chapel Hill presented him with their Distinguished Alumnus Award. Alan and Marilyn were born in the same hospital in Brooklyn, NY. Marilyn was a music major at New York’s High School of Music & Art, going on to study Psychology and English at New York University. Alan studied Music & Theatre Arts at the University of North Carolina, continuing toward a Masters Degree at UCLA.